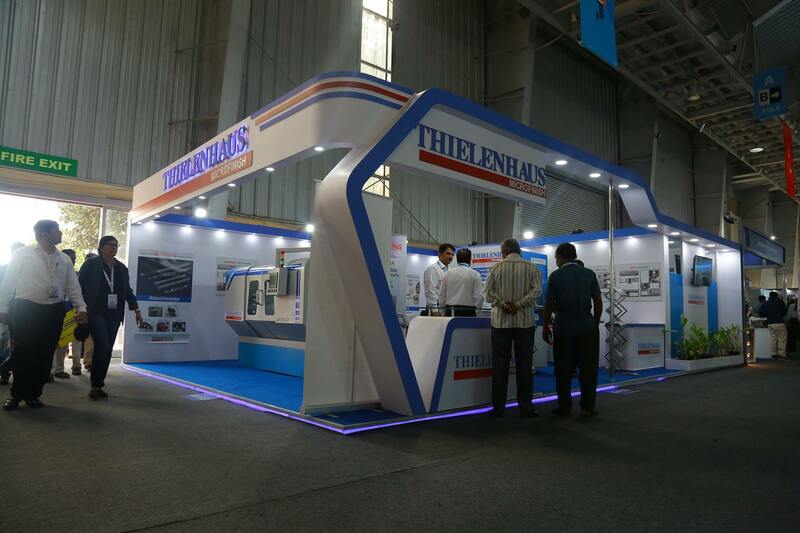 Thielenhaus at trade fair events. Meet us directly at location! Trade fairs are a good opportunity to exchange ideas with us directly at location. To give you an overview of our upcoming trade fair participations, this section will be updated at regular intervals. The international trade fair EMO Hannover is the world's leading trade fair for metalworking. Around 560 national and international exhibitors present their products and services in Augsburg, Germany. The AMB - International Exhibition for Metal Working - is the leading trade fair of the industry in even years and is one of the top 5 trade fairs in the world for metal cutting technology. The International Manufacturing Technology Show (IMTS) in Chicago is one of the most important fairs in the field of manufacturing technology. The CIMT - China International Machine Tool Show - is one of the world's largest and most influential machine tool trade shows. As an initiative of the IMTMA, IMTEX is a flagship for the Indian industry. IMTEX is South and Southeast Asia's largest exhibition for the metal industry. At Feimafe in Sao Paulo, the best-known manufacturers of machine tools present their products and services. 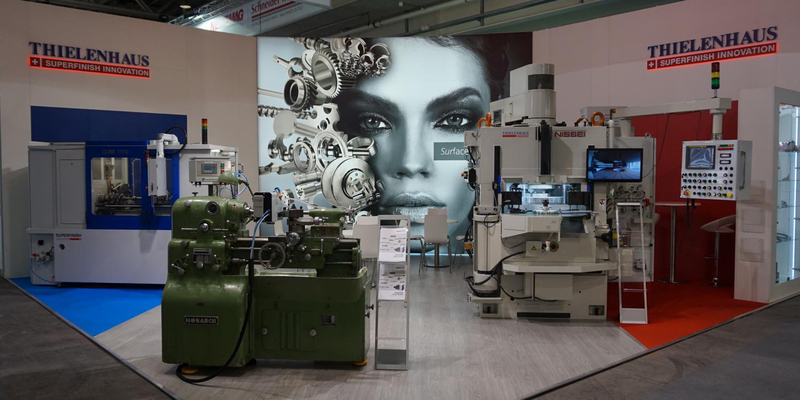 As a leading international trade fair for the machine industry, Metalloobrabotka exhibits equipment, tools and technologies in the metalworking sector. MakTek Eurasia, the international metalworking machine tool trade show, takes place in Istanbul's Tüyap Fair Convention & Congress Center and has become the industry's largest platform in the Eurasian space. Industry in Lyon is an international industrial fair for all the equipment needed in production technology: tools, machinery, metrology, auxiliaries and software. The international trade fair EMO Hannover is the world's leading trade fair for metalworking. Around 2,000 exhibitors present the entire range of metalworking technology at EMO, ranging from machine tools, precision tools, automation components to customer-oriented systems. The DeburringEXPO Karlsruhe trade fair is a trade fair for deburring technology and precision surfaces. Around 150 exhibitors present their products and services for deburring. In our trade fair archive, you will find impressions of our booths all around the world. The transmission world has been changing over the last 15 years: the intensified CO2 discussion, the increasing electrification and the associated change in the self-conception of the transmission as a powertrain manager have sharpened the view of the entire powertrain. The challenge today: to see the transmission as part of the overall drive train and to design the entire drive under this systematic view. The International Manufacturing Technology Show (IMTS) in Chicago is one of the most important fairs in the field of manufacturing technology. Over 2000 exhibitors and 115000 visitors were counted on the IMTS in Chicago in 2016. Around 560 national and international exhibitors present their products and services in the field of grinding machines, tool grinding machines, abrasives, honing, lapping, polishing and deburring machines as well as many more at GrindTec Messe Augsburg. At Feimafe in Sao Paulo, the best-known manufacturers of machine tools present their products and services. As a pure trade fair, it is an excellent opportunity to gain a market overview and to interact with colleagues. As an automotive specialist for finishing, fine grinding and honing various engine components, Thielenhaus is regularly represented again at the international engine congress. The CIMT - China International Machine Tool Show - is one of the world's largest and most influential machine tool trade shows. All renowned engineering companies participate in the exhibition and display the most advanced manufacturing technologies. As an initiative of the IMTMA, IMTEX is a flagship for the Indian industry. IMTEX is South and Southeast Asia's largest exhibition for the metal industry, showing the latest trends and technological developments. The event attracts visitors from a wide range of manufacturing and ancillary industries.